Our teachers are always thrilled to share that one of the best parts of teaching at WISH is getting to do it with awesome colleagues! At WISH highly qualified educators are partners in planning, teaching, and assessing each child. 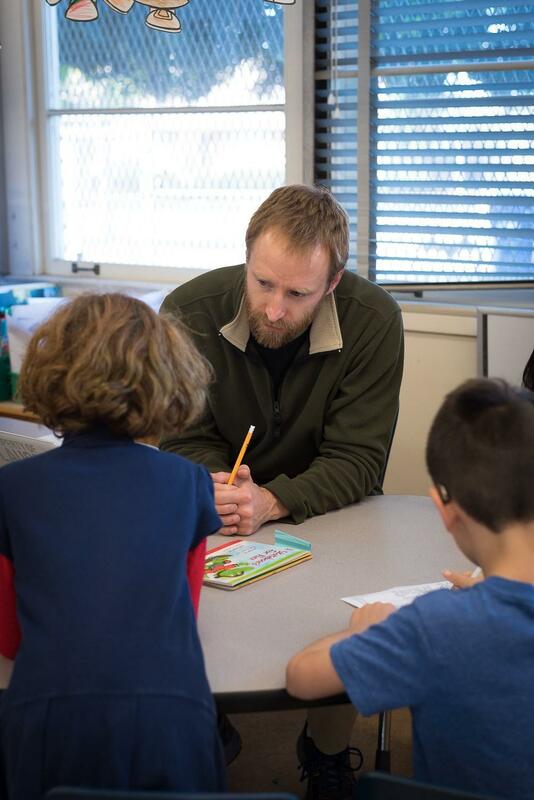 In addition to classroom teachers, teaching specialists support each grade level and move between classrooms to enrich learning opportunities. Music, Art, PE, technology, and specialty teachers utilize a co-teaching model to increase adult to student ratios, provide personalized instruction, and demonstrate best practices for all scholars. Each staff member participates in a 30-minute debriefing session daily. At this time, staff members reflect on the day and share a success, challenge, and action plan for serving children better the next day! We believe that the work of educating children is too important to leave in the hands of just one person, a transdisciplinary team with a variety of expertise, collaborating on how to make the instruction best serve children, is the best way to ensure that all students are joyful inquirers!